Still haven’t seen it. Don’t find the plastic necro-clown thing to be interesting at all. Give the graphic novel a try. It is well worth the read. It got nice fight scenes, if you’re into that. And there’s that bit, about Lee’s family curse. The movie was pretty good. But what really made it famous was the fact the the Actor died during the filming. Turning what was originally a low budget film, into a blockbuster. And spawning many sequels based on the movie, not the Graphic Novel. The budget was 23 million. Not exactly a low budget movie for the time. It was meant to be Brandon Lee’s breakout role. Damned shame that he died. 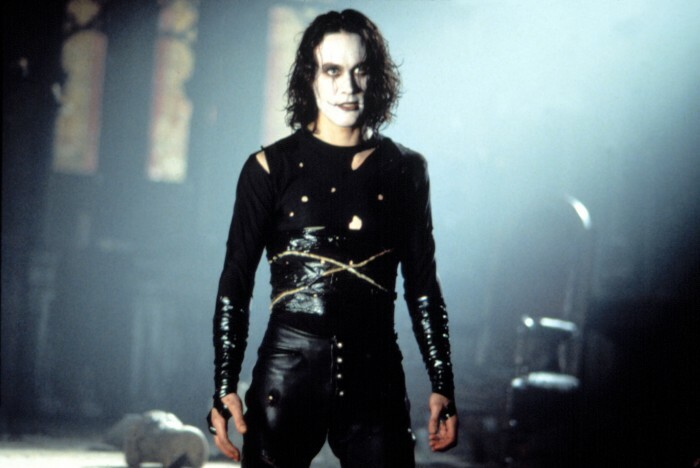 The Crow is a great Halloween movie. Actually, The Crow takes place on Devils Night, which is the night before Halloween. I grew up near Detroit. It was the custom so let your kids go crazy and raise hell on Devils Night. My mother gave me soap, shaving cream, and toilet paper and said have fun. That escalated to burning dumpsters, and on to burning entire BUILDINGS. That is what the bad guys are talking about when they say “BURN IT UP!” . I like the film. They did a great job filling in the gaps after Brandon died. Always bugged me that Eric got resurrected to get revenge for Shelly’s death. He got thrown out a window and died instantly. She got beaten and raped to death. If anyone had a case for revenge it was her. Why didn’t she get super undead crow power? Yeah, as a woman, she would have fucked it up. But she could have made sandwiches for The Crow.